Ever wondered how all your favorite beauty products are made? Me, too. So when I had the chance to visit the Lush factory in Toronto, I jumped. Not only is it fascinating to watch how beauty products are crafted, but it's even more fun when the brand is known for its glitter, bright colors, and delicious scents—well, that and completely all-natural ingredients. As I toured the building, I took note of every wild, hilarious, and mind-blowing fact our tour guide told us. Below, read 25 of the coolest unknown facts about Lush. 1. Lush flies its employees to the UK to learn how to pour mixes and make products because the process is so intense. The specific soap I witnessed being poured was Outback Mate—see how it's made. 2. Each person working in the factory has a target of 700 to 2800 bath bombs to make in one day. 3. This year, 14 million bath bombs were made, and 20 million are projected for 2017. 4. The factory produces a minimum of 4000 shampoo bars a day. 5. The massage bar formula is aerated, so the bar immediately feels warm on the skin and melts to the touch. 8. Everything is completely handmade from start to finish. 9. Products are made to order and as fresh as possible (Lush has to keep the fruits from browning). 10. Lush was voted one of the tattoo-friendliest companies—from crazy ink to colorful hair, employees are encouraged to be themselves. 11. Lush strives to always source the most ethical ingredients. Example: fair-trade shea butter from a women's collective. 12. The company hires thousands of assistants for Christmas. Across North America, Lush is hiring about 6000 seasonal staffers. Employees count the number of Christmases they've worked instead of the number of years. 13. Lush has donated $17 million to 1400 organizations through Charity Pot. 14. Lush goes naked as much as possible. Each year, millions of tons of packaging ends up in landfills. So what’s the best way to reduce this waste? By getting rid of packaging completely. 15. Both factories (in Toronto and Vancouver) have staff-tended permaculture gardens. Sometimes, Lushies (as they're affectionately called) pick ingredients for products from these gardens. 16. It takes a team to make every brick of soap at Lush. From mixing and pouring to packing and shipping, there's been up to 20 hands making each piece of soap. 17. The company uses 100 million tons of shea butter each year. 18. Lots of Lush ingredients are inspired by experimental cuisine: Ultrablast Tooth Powder ($11) is made from wasabi, and 27 shots of vodka are in each batch of Skin's Shangri La Moisturizer ($50) and Ocean Salt Face and Body Scrub ($22). 19. 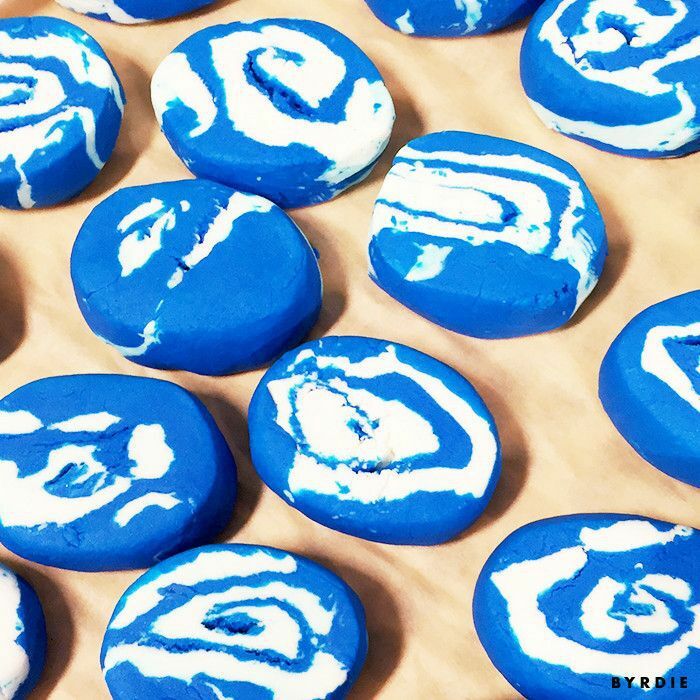 All the glitters and lusters Lush uses are plastic-free and made from natural materials like seaweed, so they're perfectly safe to put down the drain. 21. Everything is locally sourced when possible. The flowers, produce, honey, and yogurt come from just down the road from the Lush factories. Whatever isn't used (the team tries its best to use it all) is put in the kitchen for Lush employees to take home. 22. In 2015, Lush used over two tons of avocados (and not on toast). 23. Mo Constantine, one of the Lush co-founders, invented the bath bomb in 1989 (before Lush was Lush) to help with her son's skin condition. 24. Lush's Snowie Bubble Bar ($9) is inspired by David Bowie: Two Christmases ago, Lush gift designers got creative inspiration from Ziggy Stardust, and Snowie was born. 25. This year, for the first time ever, every product in Lush's Christmas collection is self-preserving. The company's inventors have replaced the water traditionally used to preserve products with other moisturizing emollients like olive oil and cocoa butter—eliminating the need for synthetic preservatives. Next up, former Lush employees spill all their inside secrets.